Managing payroll without software can be time consuming, expensive and stressful, especially if you try to do it manually. An administration team cannot be expected to stay abreast of ever changing and complex payroll legislation. Also, experienced and dedicated payroll staffs are an extra expense that small and medium sized enterprises (SME) can’t really afford to. 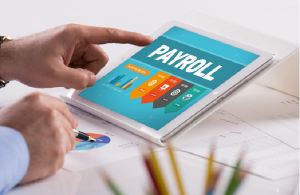 Cloud-based payroll software is a great solution for entrepreneurs and business owners on the move and is no longer viewed as the exception rather than the rule when compared with Desktop based systems. Cloud-based means the ability to store and access data from a remote system, with any computer through the internet. With payroll software in the cloud, businesses don’t have to allocate separate IT resources for maintaining or supporting the software. There is no installation required, and data and functionality are available upon login and accessible from anywhere. Payroll in the Cloud reduces resources for maintaining, upgrading, or adding security as these are taken care by the cloud software provider. Employers and their employees can access payroll data easily and quickly on desktops, tablets or mobile devices. We, Accentra Technologies (India) Pvt Ltd, a Leading Payroll Solutions Provider in the UK, are excited to unveil Primo Payroll (India), a powerful online payroll system for Indian Market that makes managing payroll responsibilities a breeze. Besides offering a sleek interface, total control and compliance with every single statutory requirement including TDS, PF, ESI, Chapter 6A, Section 24, Section 80, Tax exemptions & Taxable perks – it offers a truly unique solution that massively simplifies your payroll processing.